Since I entered competitive barbeque cooking I have often thought that the "sport" needed a magazine. 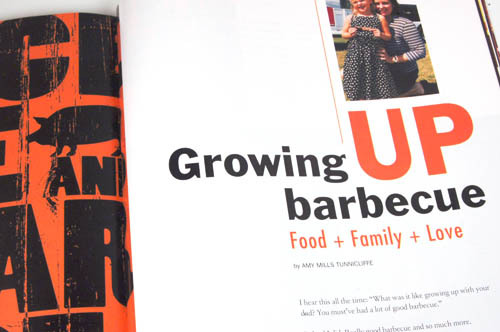 There are other specialized cooking magazines, but until very recently there was almost nothing for those of us who are passionate about barbeque. 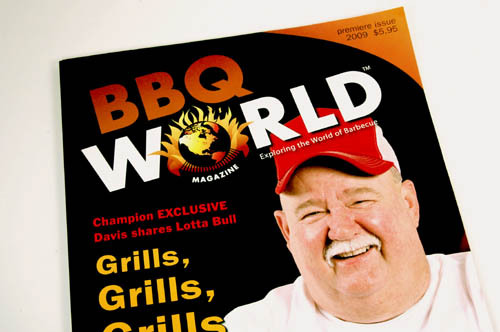 Well, that has changed with the unveiling of BBQ World Magazine. Folks, this is no glorified newsletter, this is the real deal. I'm talkin' about a four-color, glossy Sports Illustrated for meatheads. Click the images on the left to see what I mean. Not only does it look great, but the content is top-notch. The premier issue features an interview with Mike Davis and a story about growing up in Mike Mills' family. That's two big-time barbeque champions in just the first issue! It also includes recipes (of course), competition team "spotlights" (bios), a bunch of event photos and a schedule of upcoming events. This first issue even had a centerfold of the behemoth Johnsonville Brats grill. If you are serious about barbeque this is a must-read. Terry Welch and his team are helping to give our passion the coverage that is long overdue.